Prime Minister Sheikh Hasina's press briefing on her just-concluded visit to Cambodia ended at around 5:10 pm at the PM's official residence at Ganabhaban in the capital. 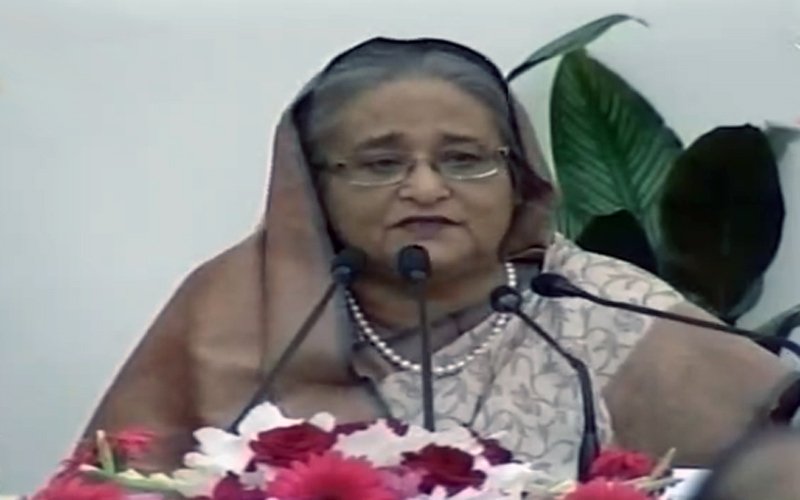 When asked what initiative she take to ensure all-party’s involvement in the next parliamentary election, Primr Minister Sheikh Hasina said, it is the duty of every political party to take part in parliamentary election. Government has nothing to do but creating a congenial atmosphere. The briefing about the outcome of her visit to Cambodia began at 4:00pm on Thursday. The Prime Minister visited Cambodia on December 3-5, 2017 at the invitation of her Cambodian counterpart Hun Se.